Our bedrooms are our havens, our resting and rejuvenation spaces where we conduct our most private affairs and spend our most intimate moments. For some, a bedroom is a hallowed chamber, a world within a home where everything is where it needs to be and every comfort is tended to; for others, the bedroom is a far more perfunctory space, a chamber to come and go, and keep moving. Whatever the case, we all have things in our bedrooms, and those things need a place to rest just as much we do. 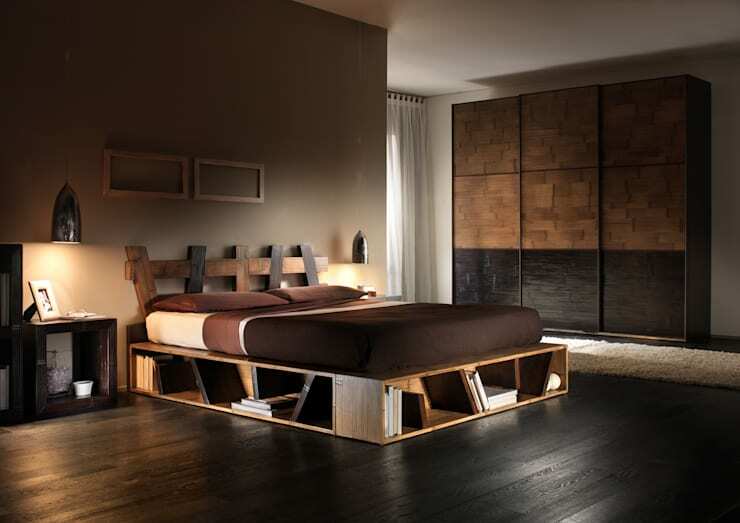 Bedroom storage can be a tricky thing to get right. More often than not, we tend to prioritise aesthetics over functionality, particularly when it comes to our private spaces. Creating a bedroom that not only sets the scene and looks the part, but also offers maximum storage capability, can be a real juggling act, especially if you're working with a room of relative modesty space-wise. Ultimately, what makes the best bedroom storage? Today on homify, we've got you covered with six fabulous ideas for bedroom storage—ones that'll not only enhance the way you keep your belongings in check, but make your bedroom look great too. Settling on the right bed is without a doubt the most crucial decision you'll ever have to make when it comes to decking out your bedroom, and it's not just in the service of a good night's sleep. Yes, selecting a good mattress that suits your frame and comfort level is beyond necessary, but that choice can also determine how much extra space you've got to work with storage-wise. While some of us won't want to part from our preferred duel mattress-and-base configurations, those of us who do feel a tad more adventurous stand to benefit from the space-saving options available to them. Take this great example: here, a comfortable single mattress rests upon a well-selected and finely constructed wooden bed-frame. As you can see, there are plenty of options for storage and books, which are allocated within the bed-frame underneath the mattress. Under the bed storage is a fantastic way to achieve so much more than aesthetics alone. 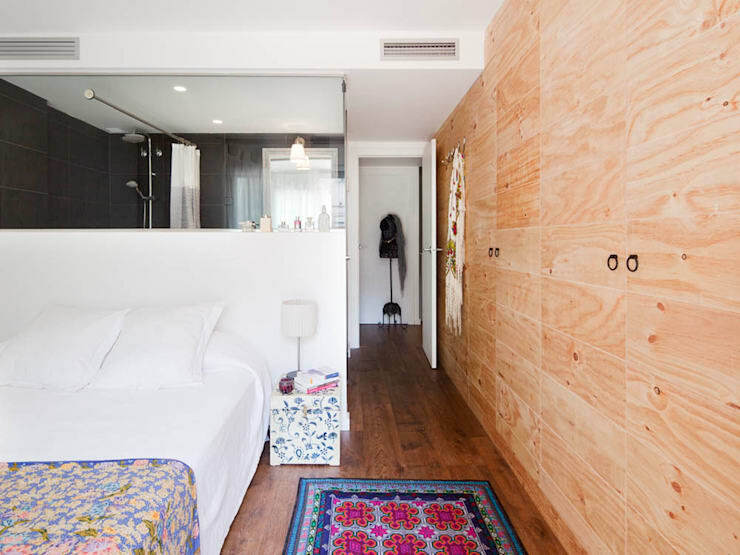 Not only is this clever, but the design contributes to the overall rustic modern style of the room. Making the most of storage, whether it's under the bed or not, can be a real trial - why not chat to a professional for a few pointers and a little extra advice? Depending on whether you're a hoarder or someone who appreciates and practices minimalism, when it comes to storing away our clothes and personal effects, keeping things basic and accessible is almost always the best policy. Trunks, ottomans and designer in-built storage assemblages may come and go, but there's no substitution for the humble wardrobe. 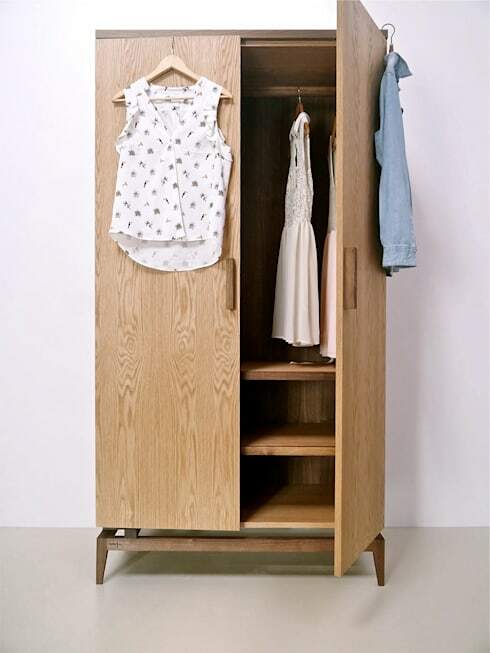 Whatever the quantity or quality of your bedroom goods, having a reliable, easy to access, stand alone wardrobe like this cute, wooden feature can be the difference between a happy, harmonious bedroom space and one inundated with clutter and disarray. When it doubt, keep things simple with a wardrobe that suits your style and makes your space sing. While we're discussing the ins and outs of quality bedroom wardrobe inclusions, let's not forget their natural partners in crime: the all purpose, matching set of drawers. Wardrobes—wooden, stand alone or otherwise—are sturdy units, but there are limits to their capabilities. For all smaller clothing and personal effects, a swell chest of drawers makes the perfect contribution to bedroom storage. As we see in this fabulous example, a robust wardrobe stands proud and doubly effective when coupled with an equally striking, matching chest of drawers. It's a good idea to pick a set of drawers like these because they not only store adequately, but function as an equally versatile bench space, the perfect spot for candles, books, plants, and, if it's up your aesthetic alley, a vintage white manual typewriter too. For those of us out there who remain bona fide non-hoarders, less is indeed more right across the board when it comes to all facets of bedroom interior design. Installing simple, yet adequate shelving can be a great way to keep it all in check in the bedroom, and this example here demonstrates the fact perfectly. No, we're not talking about a full length floor to ceiling shelving system here—far from it. 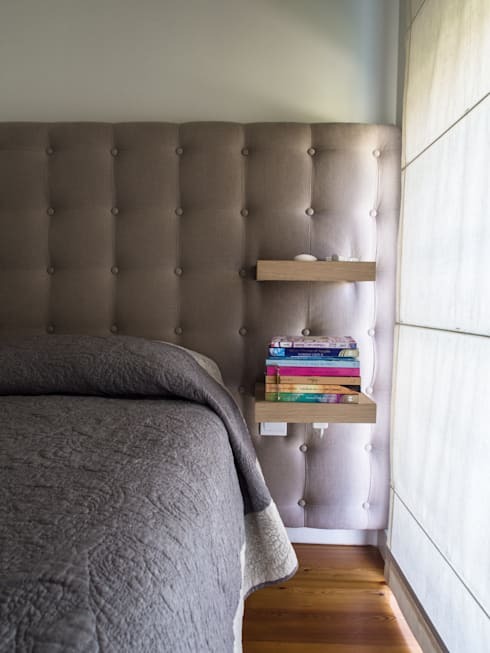 Here, we see how the inclusion of simple shelving by the bedside can give you even more space to move in a small room, while attending to all primary storage needs: a space to stack the paperbacks and magazines, while eliminating the need for clunky bedside tables. Smart and sensible always wins the race. Many of us suffer from having too much stuff to store away in our homes, and if not the storage closets, it's our bedrooms that almost always end up taking the brunt of the collection. The question remains: where to put it all? 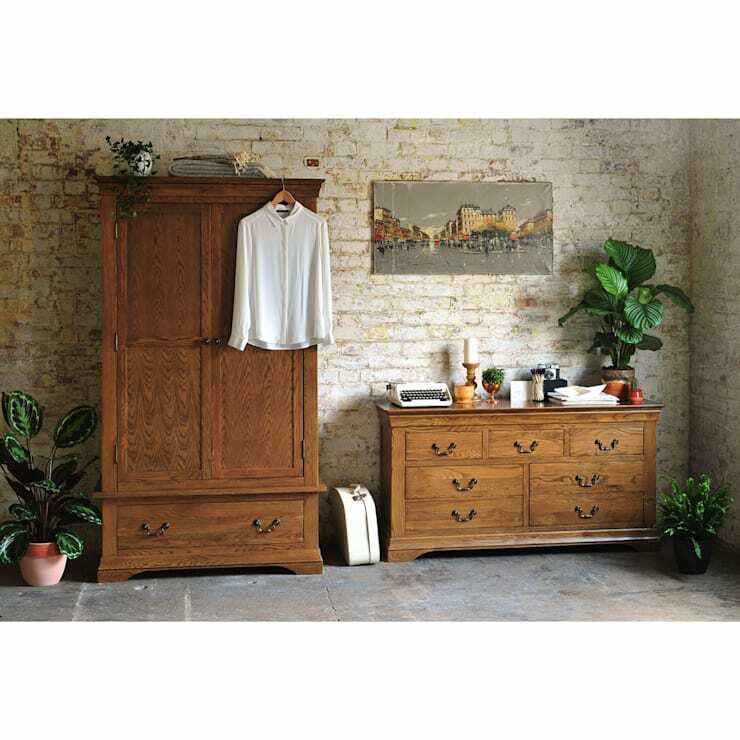 Simply introducing a series of matching wardrobes and drawers won't necessarily cut it; it'll make whatever limited bedroom space you have even more cloistered, and possibly won't even cater to the actual storage need anyway. The solution? Keep it neat and discreet. It's certainly the mantra that designers of this fabulous bedroom took to heart when they set about carving a full floor to ceiling storage area in the hold of the bedroom wall itself. Is it a wall? Or is it storage? It's both, and it works wonderfully. You can do it too. When it comes to the kids room, adequate storage can be a real nightmare. Toys, instruments, a thousand miscellaneous bits and pieces—where does it all go? Where can it go? Well, with a little nous and careful planning, there are myriad options available to you. Ultimately, a tidy kids bedroom—one that the kids themselves feel good about cleaning up—relies on imagination, and on being extra clever. Why not turn 'Toy Story' into 'Toy storage'? 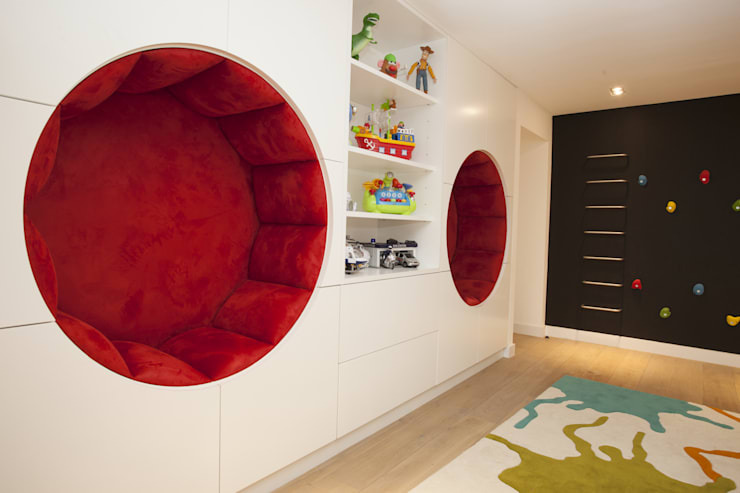 In this fun and fantastic kids parlour, ample, easy to access wall storage—replete with in-built circular red velvet seats—makes putting away all the fun of the day as much a part of the enjoyment as the fun itself. Keep an open mind when designing your storage, be it in the kids room or your own, and ultimately, keep that imagination firing. Did you like the Ideabook? Keep priming that imagination with a look at some more fantastic Modern Bedrooms. Do you have any other handy bedroom storage ideas for our readers? We’d love to hear from you in the comments section below!